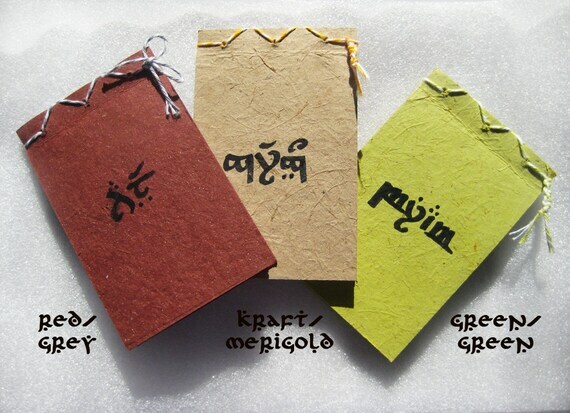 6th Day of Christmas -- the little schremlin's "tengwar Hobbit notebook"
Today I'm delighted to share about the little schremlin, a darling little shop with items like polymer clay jewelry "inspired by science fiction, nature, and food!" i am a big fan of sci-fi, fantasy, the planet, and animals. not a fan of capitalization, cloudy days, or current 'music'. my shop currently has a lot of food jewelry which i will continue to make, but i'm also adding more science fiction and fantasy jewelry, notebooks, pencils, and book marks. stop by, look around, and check back for new stuff in the new year! 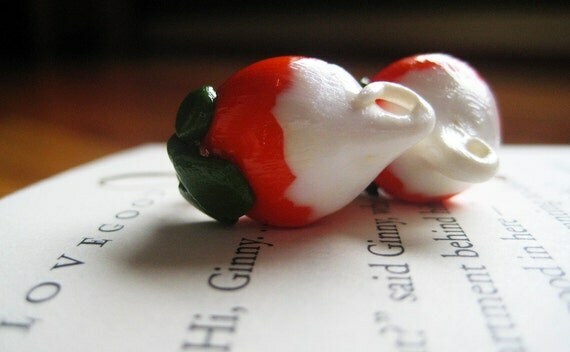 and Luna Lovegood's Dirigible Plum (radish) earrings! Sarah of the little schremlin makes more than polymer jewelry, check out this lovely tengwar notebook! What's "tengwar," you may ask? (If you don't have to ask you already have +1,000 awesome points). 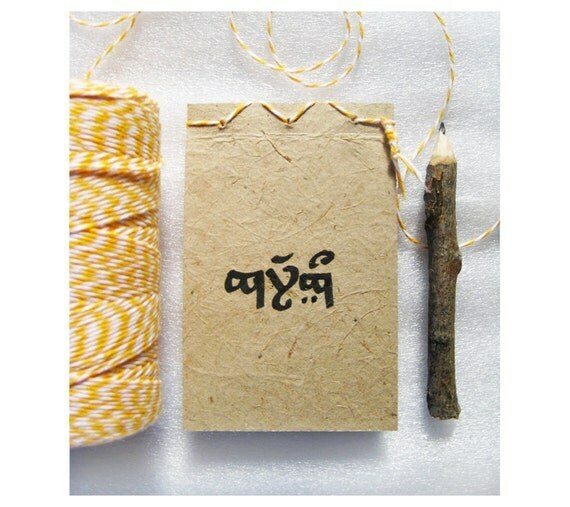 This mini notebook is hand cut + bound, and made of natural, high quality materials. The cover is made using Mr. Ellie Pooh’s Elephant Dung card stock (more on that here), and the notebook is filled with white paper and bound with baker’s twine. The super cool parts are: 1) I will ink your name on in Tengwar on the cover, and 2) i made a paper pencil to go with it that reads "in a hole in the ground there lived a hobbit". 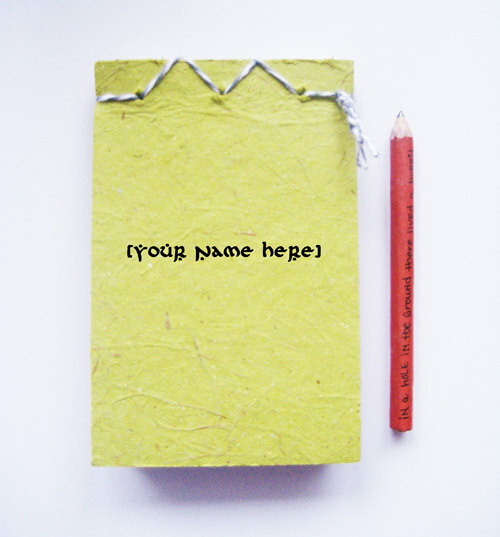 the little schremlin is giving away one of these really unique handmade notebooks! AND she's offering a coupon code just for my blog readers! You guys sure are lucky ducklings. coupon code: shealynn ... 10% off any item, including sale items. valid through january. Use the rafflecopter widget below to enter by Jan 12, 2012! P.S. I hope all you wonderful blog readers are having a great Christmas and New Year's break! I'm enjoying having no school. Very much. We just said goodbye to some 40 family members (we had a BLAST) and I know this post is coming out late. But hey, it's before midnight, so it's technically still the 6th Day of Christmas! 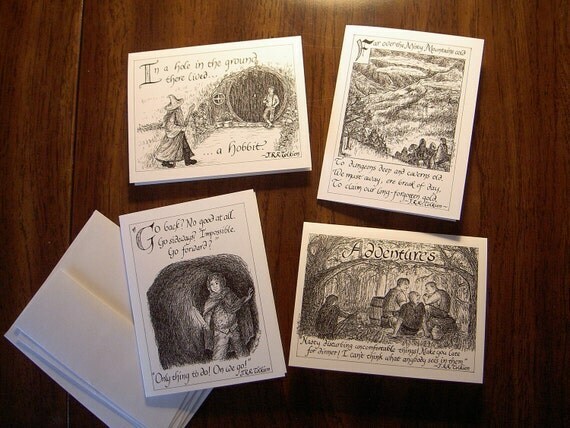 5th Day of Christmas -- Erika Heins "Hobbit Notecards" Giveaway! 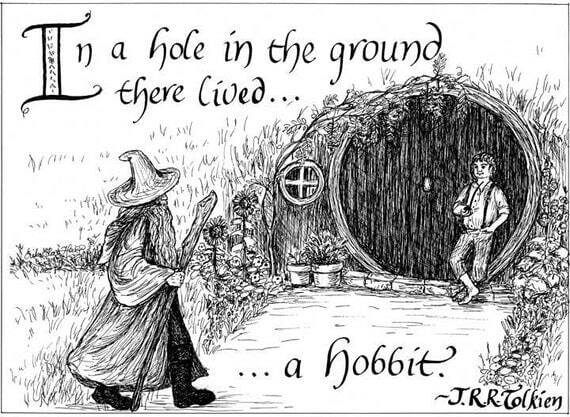 Long(ish)time readers will recognize Erika Heins from the lovely guest post she wrote last year about how much Tolkien's works have meant in her own life. Seriously, go check it out. 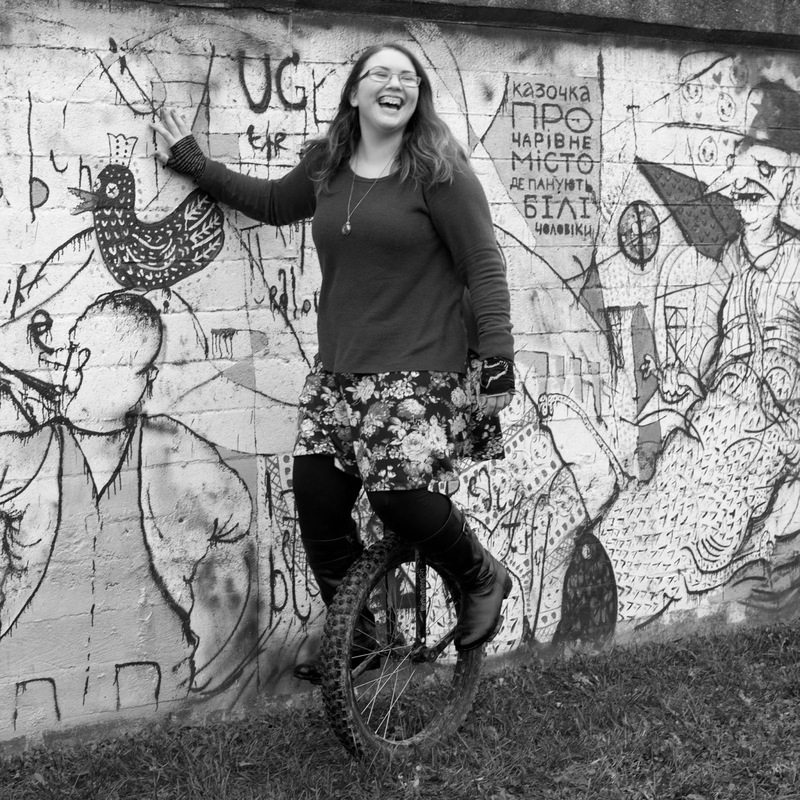 Erika runs an Etsy shop selling stationary made with her own gorgeous artwork. Isn't her linework and penmanship spectacular? 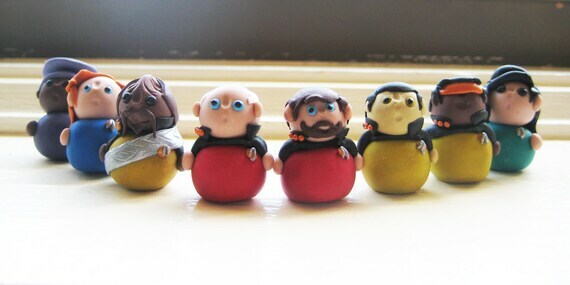 Just look at this wonderful Hobbit collection she recently created! And guess what? One lucky reader will receive these cards! Enter below for a chance to win "The Hobbit Assorted Notecards"!!!!!!!!!!!! This set of images from the first part of Tolkien's masterpiece includes one each of four designs, printed on high-quality 4 1/4" x 5 1/2" notecards. The cards come complete with envelopes and sealed in a plastic sleeve. "Bilbo's Doorstep"--This card features the first line from the book, with a picture of Gandalf walking up Bilbo's front walk. 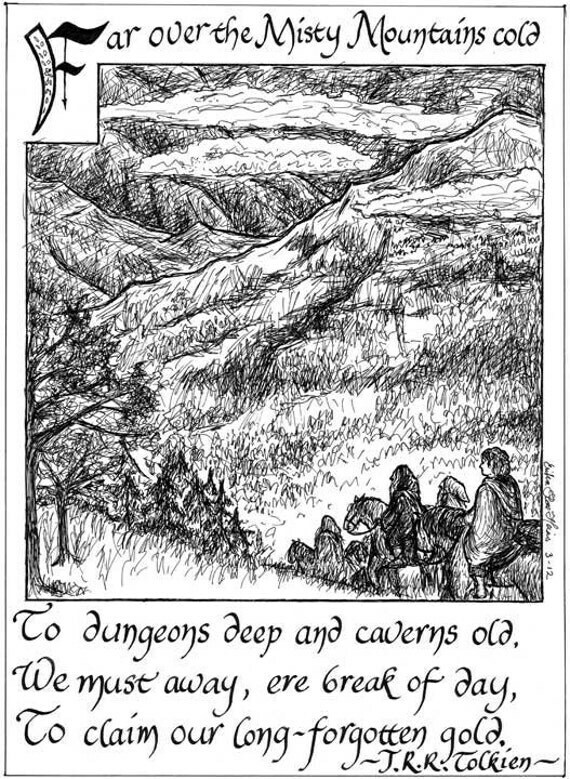 "Over the Misty Mountains"--This card features one stanza from the dwarves' song, with a vista of the mountains. Bilbo looks on from the corner of the drawing, seated on his pony. 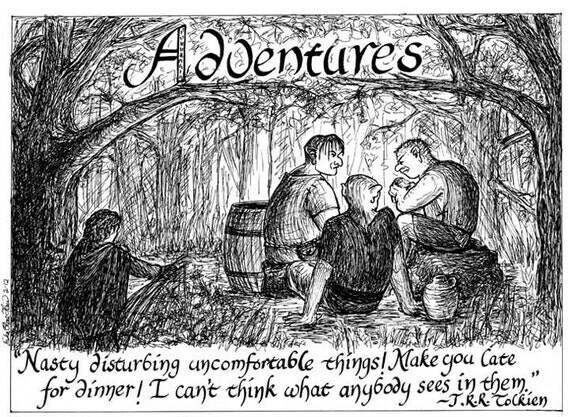 "Adventures"--Bilbo's quote on adventures is paired with a drawing of Bilbo first looking at the trolls. 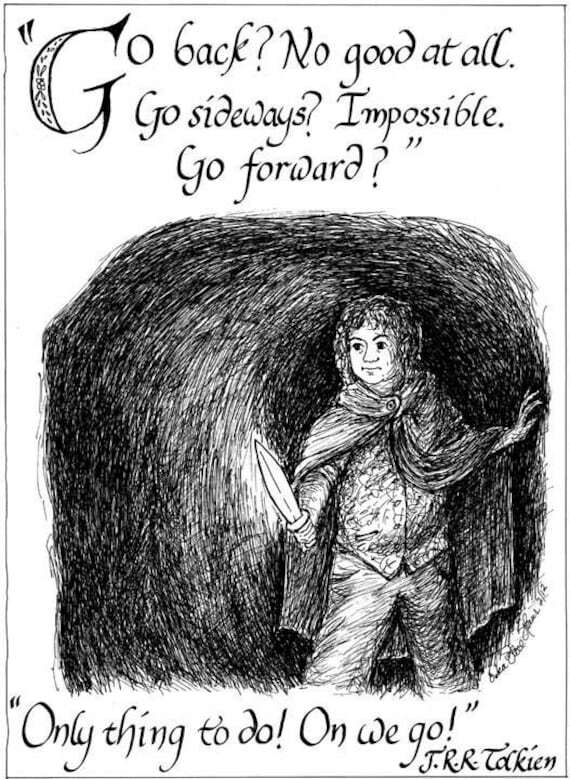 "Go Forward"--Bilbo bravely feels his way through the Misty Mountain tunnel, holding Sting ready. Today's giveaway comes from the amazing shop foxwise. This is jewelry for geeks! Just look at all the geekdoms in her site's sidebar! The shop is run by Rose, who stamps all the jewelry by hand. Just look at this glorious stuff! Foxwise is giving away the winner's choice of either the Deathly Hallows Ring or the Accio Keychain! These are totally awesome, and I'm so excited for whoever wins! Enter the giveaway with the Rafflecopter Widget below! 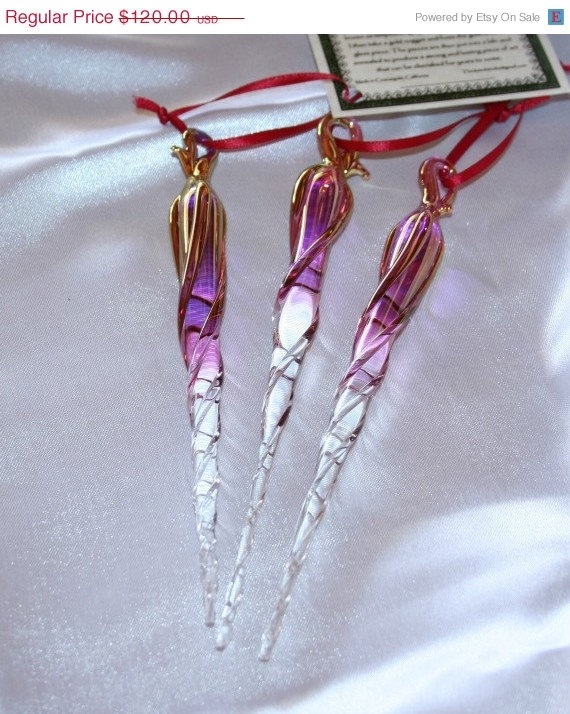 Today's giveaway comes from Third Wind Studio, a really neat shop full of beautiful handmade glass ornaments and jewelry! 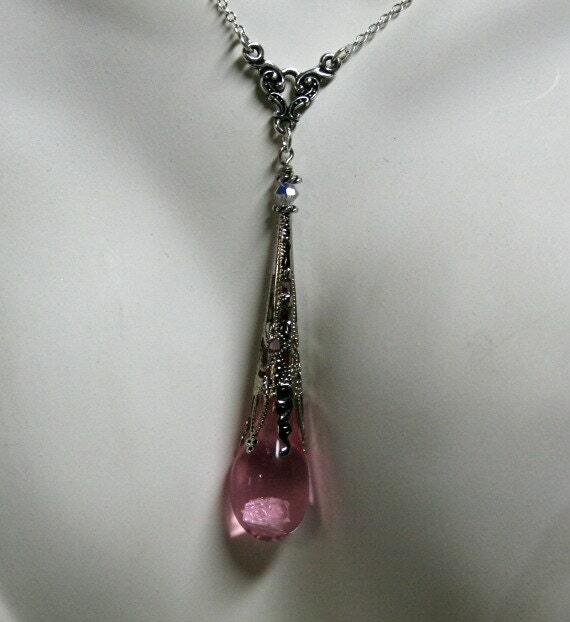 And jewelry like this necklace, "Galadriel's Phial"
Aren't they LOVELY? I don't know how he does it, glass is very difficult to work with (coming from someone who has never attempted it but who once spent a half an hour watching open-mouthed as a glass artisan worked at a local fair). 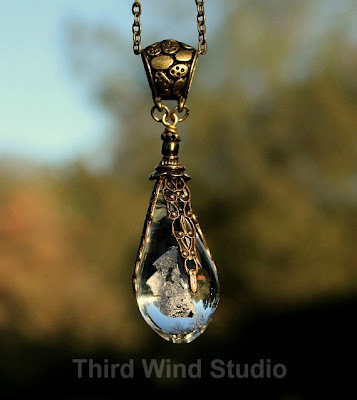 Third Wind Studio is giving away one beautiful Arkenstone necklace! "Hobbit inspired pendant "Arkenstone" "Heart of the mountain" Crystal orb, Bronze filigree wire wrap, quartz crystal encased in molten glas"
Also, check out the sale going on for 25% off all Christmas items at Third Wind Studio! 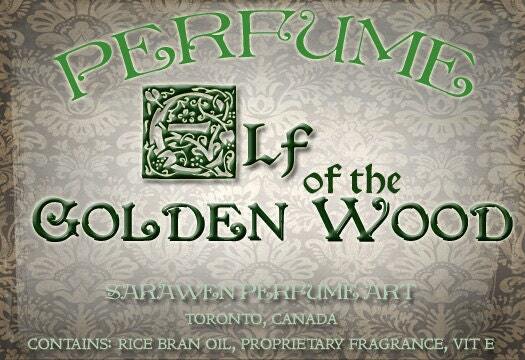 Sarawen is an absolutely lovely shop full of perfumes-- but not just any perfumes, my dear! GEEKY perfumes! 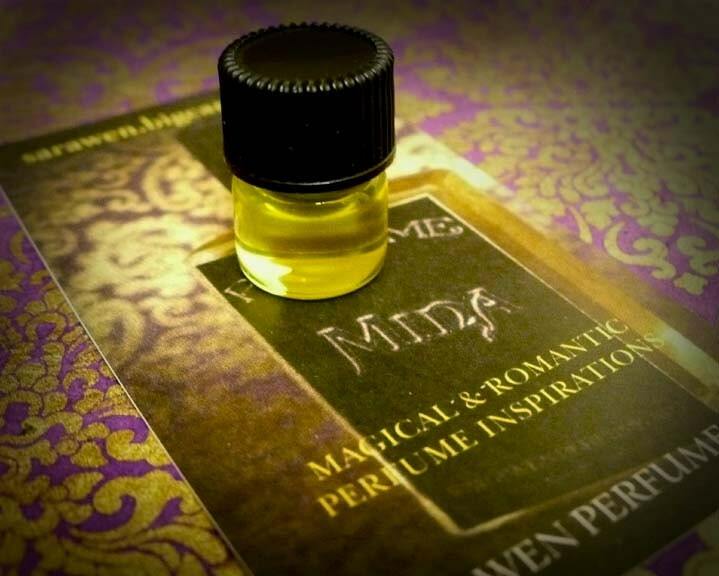 As she says in her shop's description: "Unique perfume oils inspired by all things Literary, Magical, Historical, Gothic, and Geeky!" Sara names each unique blend after characters and places that will make a bibliophile die of happiness. 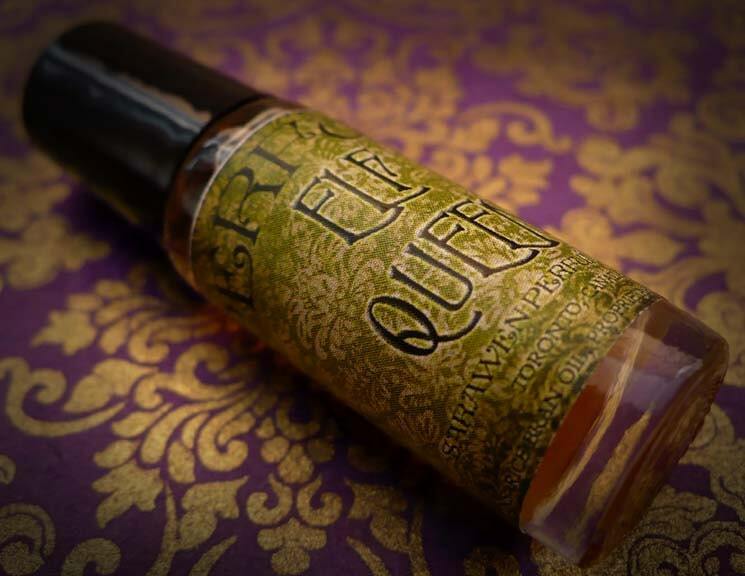 There are scents inspired by Sherlock Holmes, The Lord of the Rings, Greek mythology, The Hobbit, The Hunger Games, Game of Thrones, Peter Pan, traditional fairytales like Snow White, Harry Potter, Jane Eyre, and many, many more! She's even got some Christmas-y perfumes up for a limited time. The best part is that these perfumes are not only hand-blended, geeky, original, and beautifully scented, but they are affordable, too! Her perfumes are vegan, too(I know a few people who would be really excited to hear this). 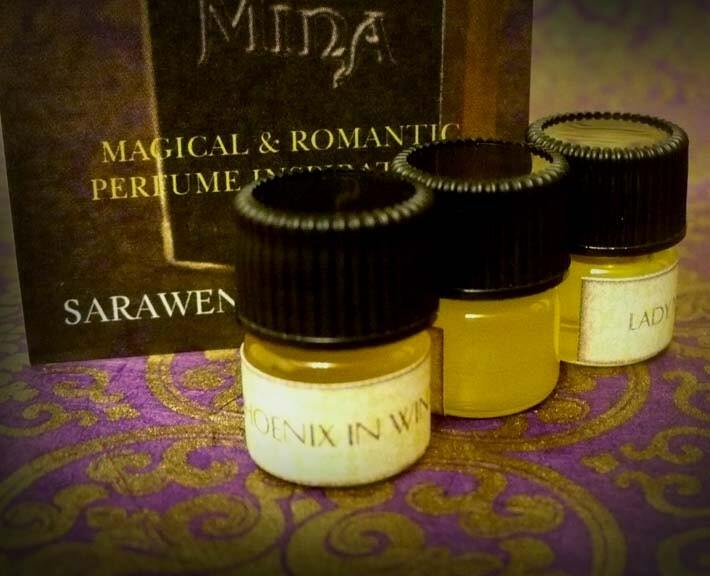 A few months ago, I placed an order for several tiny perfumes samples and won a few more in a giveaway shortly thereafter (the first giveaway I'd ever won!). I am thoroughly impressed and thought I'd share a review of Sara's work before telling you more about the giveaway! The package arrived all the way from Canada-- I'll admit that I was a little excited to see French on the package. I think that international packages are so much fun (even though they cost more... I always love mailing my jewelry internationally because then, even thought I can't travel there, something I've made is being enjoyed in another country!). The packaging was so pretty that I just had to snap some pictures! Here's my lovely haul! 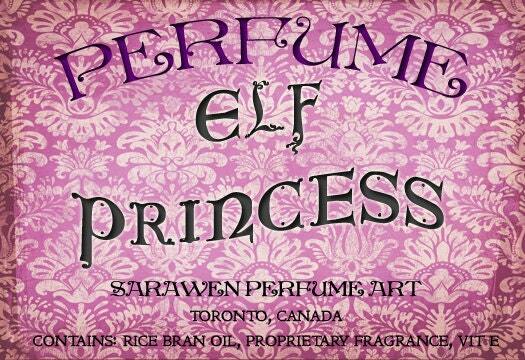 I simply couldn't pick, so I asked for random samples being sure to include at least one of the Elf inspired scents. The samples came in miniature glass vials, which are cute (who doesn't love small things?) but I do have to be careful to store them upright because I had one leak a couple of drops when I left it on its side for a couple of days accidentally. It's also a bit difficult to pop off the cap without risking the contents getting shaken out. Of course, it's just samples (there are very nice containers for regular sizes), but I was excited to see Sara post on facebook that she has new bottles for samples. Now, I have to admit that I am not a perfume connoisseur. I've always used my mother's, or just some body spray. But now I'm in love with picking out perfumes to put on each day. Scents are very difficult to describe, but I shall do my best! Fresh, lively lemon blossoms blended with the soft, yet woodsy note of vetiver, with a hint of underlying musk. Strolling through the Golden Wood, the scent of honeyed bread wafts by, perfuming the pure air with its sweetness. 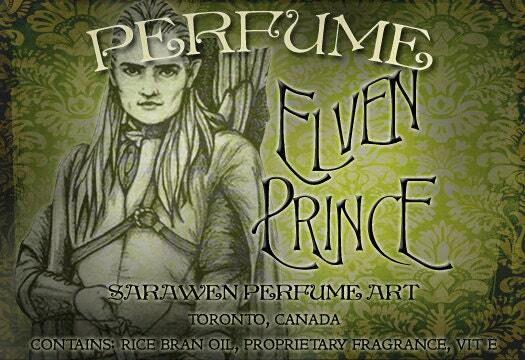 This is a Lord of the Rings fragrance inspired by the character of Haldir! 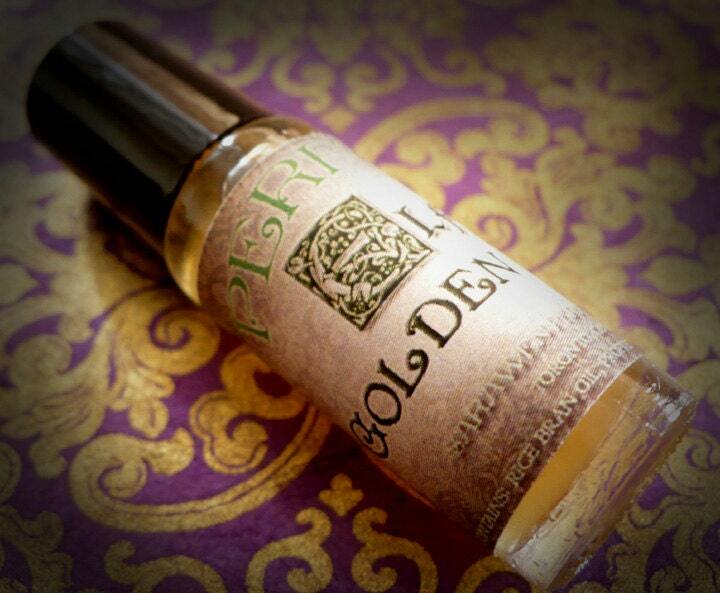 This is a balanced unisex blend, perfect for all elven lads and lasses. perfume-making skills Sara has, but she somehow bottled up the smell of the summer woods in my backyard. Seriously. It's a sweet scent at first (almost like the musk of blossoming honeysuckle bushes, but not as flowery) but underneath it is a faint crispy tang, like honey lemon tea or Pink Lady apples. I may be the only one crazy enough to think this... but it's a mix of peridot green and midsummer-sun yellow. (Tell me I'm not crazy for sometimes comparing random things to colors). This one is lovely and a runner-up for favorite scent! It's a girly, floral scent but also a little bit tangy and wild. And it's inspired by Luthien and Arwen!!!! 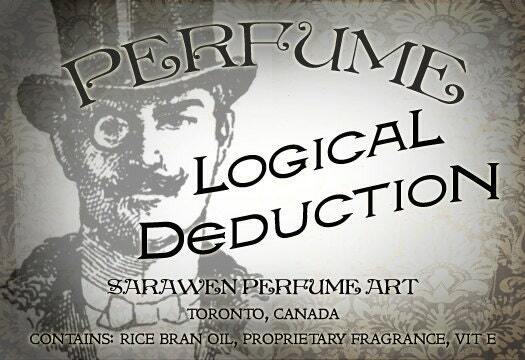 Logical Deduction is probably my least favorite, but that doesn't mean I dislike it! It's a unisex scent, but to me it seems very masculine. It definitely has a hint of tobacco lurking in there, which is why I think I don't like it as much even though there is a richer, sophisticated smell above the tobacco. The sense of smell is closely related to memory, I've been told, and the tobacco make me think of the weird texture in the air at my grandparents' house back before Papa stopped smoking. Elven Prince is another one of my favorites, even though it's supposed to be for guys! It's a fresh and earthly scent, almost like freshly mown grass. Definitely a lot of lemon! (I just love citrus smells). This one is really hard to describe because I just keep thinking about a really lovely lemon yellow and can't think of words. It just smells yummy yellow, okay peeps??? I seriously can't think of anything but that this reminds me very strongly of my grandma's perfume. It's not the same, but so similar... Very violet-y. I like. According to the description it is inspired by the Victorian and Edwardian periods. 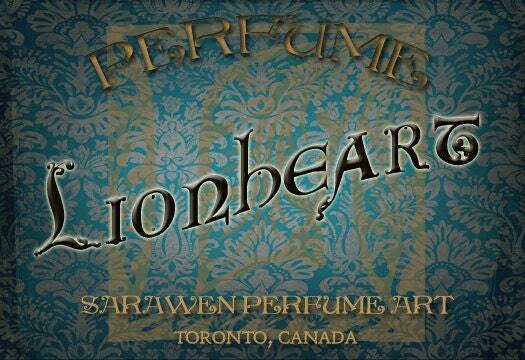 Lionheart is one that I enjoy but don't wear much because, like Logical Deduction, it's definitely a more masculine scent. It's a lurking smells that I can't explain, a bit like honey or incense. Elf QueenGUYS! This is an elixir of petrichor! For those of you who aren't Doctor Who geeks, "petrichor" is the word for "the smell of dust after rain." This is an almost fierce, earthy smell that literally smells like our neighbor's hayfield on those gloriously gloomy, purple-gray days of contant rain. 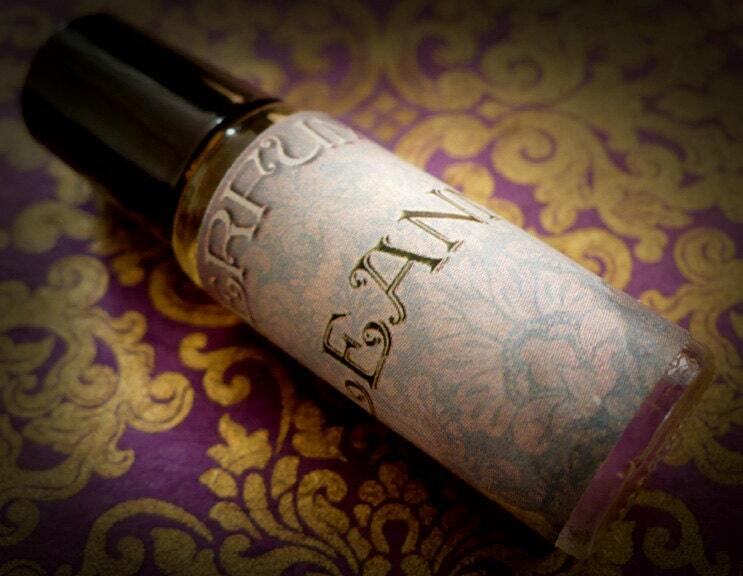 It is "powerful yet sweet" with "notes of vanilla cream, honey, jasmine, and patchouli." Lol, how's that for a very long post? Can you tell I was having fun attempting to describe smells? And yet after all this you're bound to not be able to imagine the scents very well at all. Sarawen is giving away a 3-piece Middle Earth Sampler Set to one lucky reader of my blog! How cool is that? Use the Rafflecopter widget below to enter the giveaway! Happy 2nd Day of Christmas and many thanks to Sarawen for joining in the festivities! I thought long and hard about what item to give away this year to kickstart the 12 Days of Christmas giveaway extravaganza, and then I thought... why not let you choose? 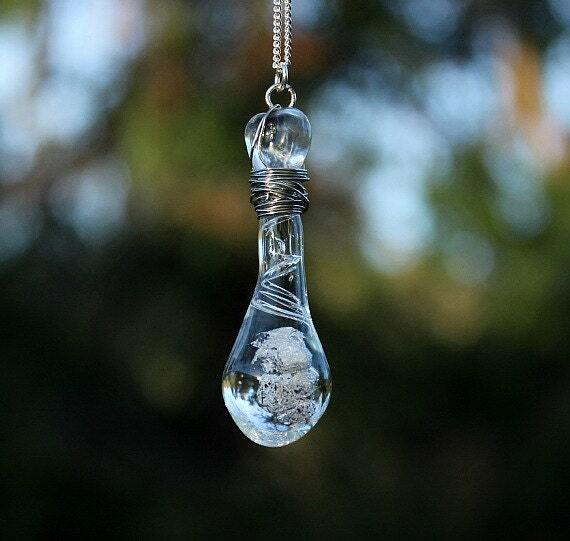 One very lucky winner will get their pick of any item from Shealynn's Faerie Shoppe! 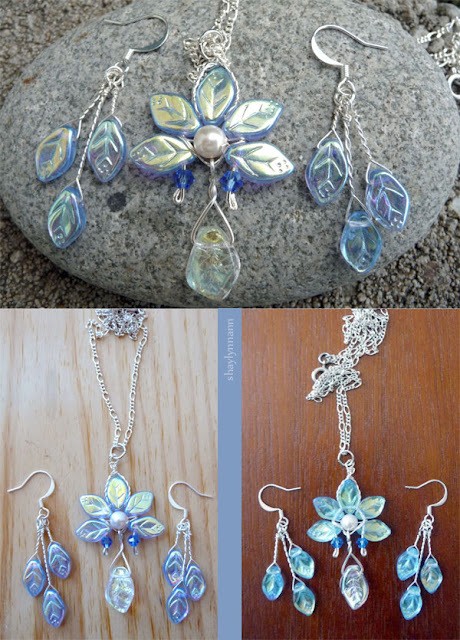 ...or the ever-popular Evenstar Fantasy Jewelry Set, which I can make for the winner in her own choice of colors! The giveaway is open internationally. The prize will be shipped USPS First Class for free. The giveaway will close January 12th, 2012. The giveaway is limited to items at or under $30. At the moment, this includes everything in stock in my shop-- but I will be working on bringing my inventory back up after the holidays, so by Jan 12th there may be a few items worth more than $30, which will be excluded from this giveaway. The winner may choose a custom item which does not exceed $30 as the prize. If the winner chooses a prize which requires customization, he or she will be put at the bottom of my custom order queue and the prize may take up to 4 weeks to make. Customizations limited to colors that I have in stock (a large selection but not *every* color). I hope you all are having a very, very Merry Christmas! So they hurried away and found Mary and Joseph, and the baby lying in the manger. and everyone who heard it was astonished at what the shepherds said to them. As for Mary, she treasured all these things and pondered them in her heart. And the shepherds went back glorifying and praising God for all they had heard and seen, just as they had been told. Be sure to check back during the following 11 days for MORE giveaways! Hopefully you'll find several other artisan's shops to fall in love with. :) There will be one new giveaway each day, and all the winners will be announced Jan 12th! I hope you are one of the lucky ones! Merry Christmas Eve, my dear friends! I hope you are having a lovely time with family and friends! Be sure to pray for those who cannot be with their loved ones this Christmas season. 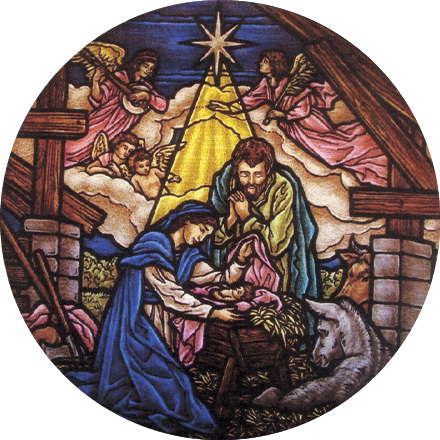 Speaking of the Christmas season, the proper celebration of Christmas begins tomorrow-- on the 1st Day of Christmas! Once again, just like last year, twelve wonderful artisans have kindly offered to give away some of their beautiful pieces here on my blog! We'll spread some Christmas cheer and show you some wonderful shops to fall in love with! I can't wait until my cousins come over a couple days after Christmas. There are 30-some of us and it's always a blast! We'll probably have lots of good food and discussions about engineering and education as usual, along with some hairbrained inventions being shown off (like the levitating magnet toy that my little brother designed a couple of months ago). 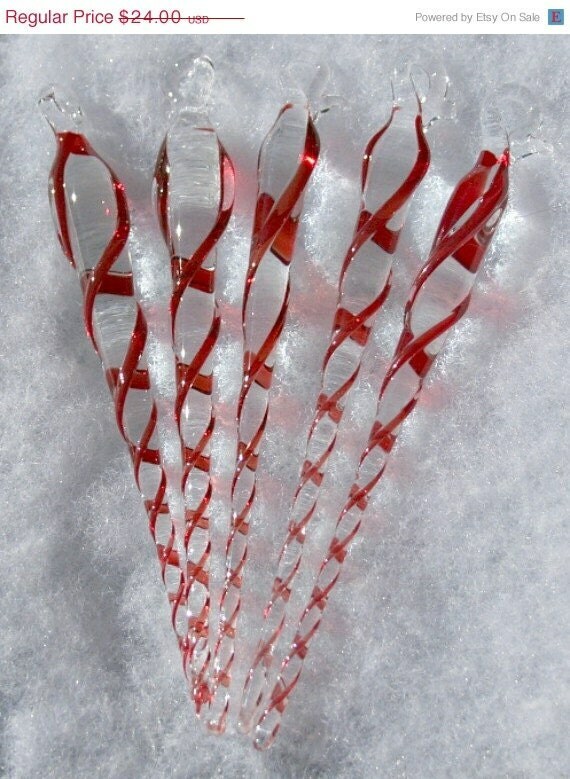 What are your favorite Christmas and New Years' traditions? 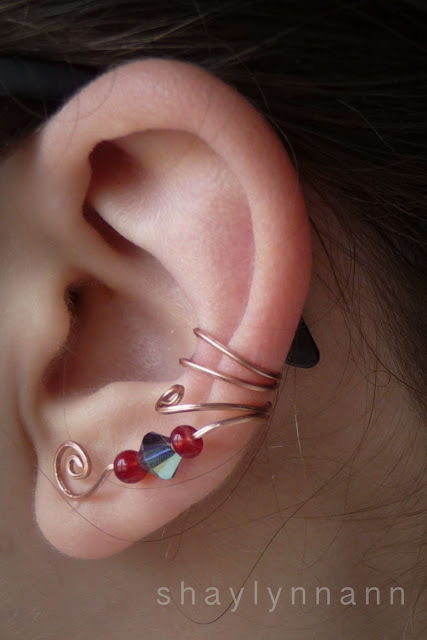 For those unfamiliar with ear cuffs, they are awesome and comfortable pieces of jewelry that simply wrap around the cartilage of the ear-- no piercings required! They are easy to put on and really stay put! If you aren't up to making some yourself, be sure to visit my Shoppe, where I sell some and also do custom orders. 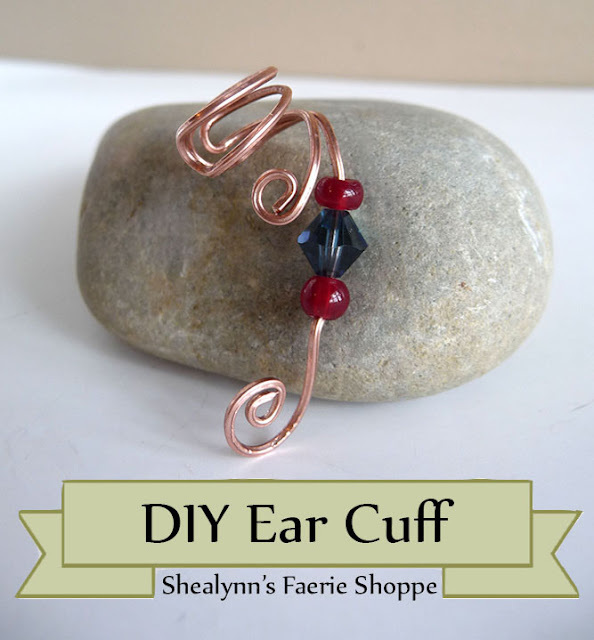 Before you begin, I recommend that you check out my tutorials on the basic ear cuff and the swirly ear cuff. You should be able to create both styles proficiently. You can also check out the bow-tie ear cuff tutorial (which is about the same difficulty as this ear cuff). Now then. With a few cuffs behind you, it's time to get started with this fun technique! We are creating a left ear cuff. 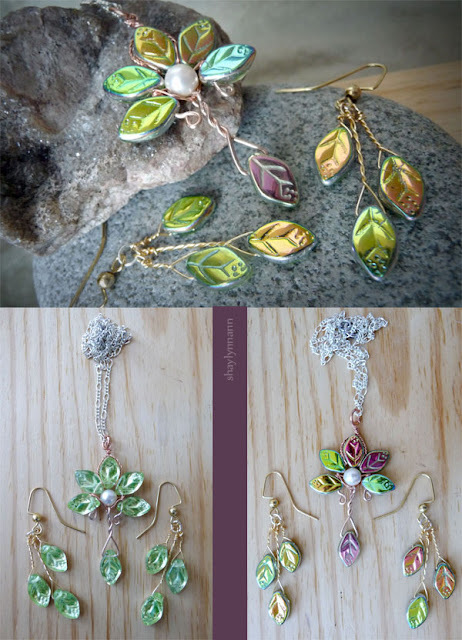 Simply mirror the design to create one for the right ear. This particular design is a bit more understated than the other ear cuffs because the decorative swirls are limited to the bottom of the cuff! 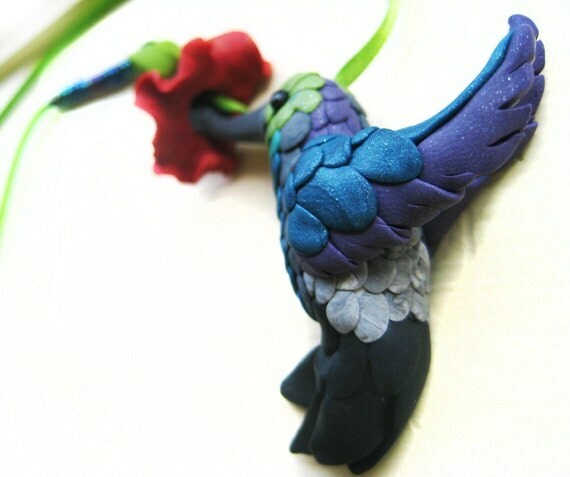 - (optional) beads, other wire for decorative wrapping, headpins to add dangles, etc. Cut a length of wire at least 8 inches long. Bend it at the three inch mark. Make sure that the small loop this creates is actually a loop-- it's not as comfortable to wear ear cuffs in which the wire is pinched together tightly. This is where the "double loop" comes into play. First, bend the wire into a 1 inch zig-zag (just as you did with the swirly ear cuff). The next part is a bit tricky if you are working with tough wire like me (hard copper is not recommended to begin with). Take the tail end of the wire on the right-hand side and fold it down and around the right-hand loop. Okay, now you get to have fun. How do you want the ends of the wire to look? What beads will you add? 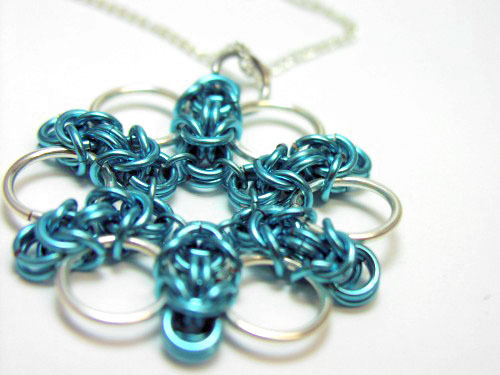 What loops and swirls and decorations will you make with the wire? Have at it! I found that I had a bit of a hard time keeping mental track of the placement of the ear cuff, so I kept putting it on the marker (or my ear) as I designed, in order to make sure the swirls and beads were just perfect. If you are adding beads, be sure to very, very slightly bend the wire just above and below the beads in order to hold them in place. I only recently perfected this design, so I don't have any more double-loop ear cuffs to show you. Soon! I hope you enjoyed this tutorial! Please be sure to leave a comment if you used it! Also, please note that you may use this tutorial to make your own jewelry to sell, but only if you credit me for showing you how. It does take time for me to make these tutorials! Thanks! Treasures of Middle Earth Design Contest-- EEEP!